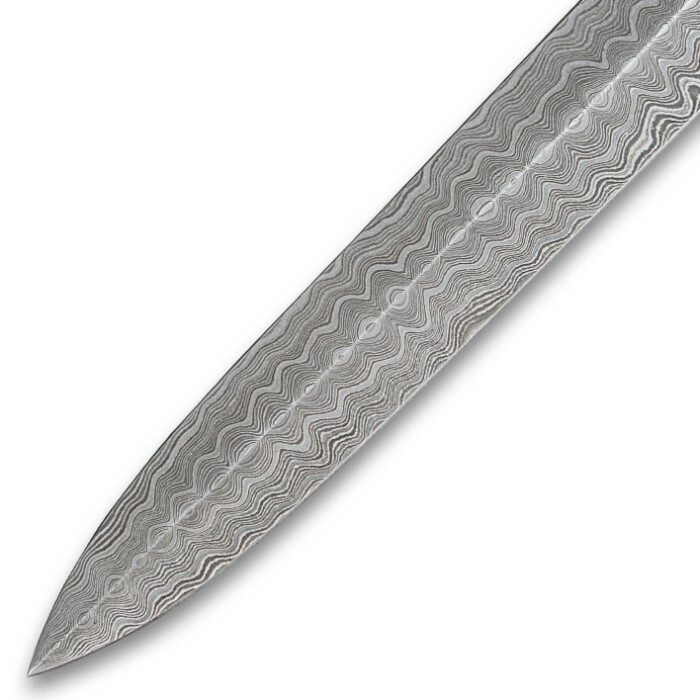 Worthy of being an ancient warrior's dress sword, this hand crafted Damascus steel blade has a stunning pattern. 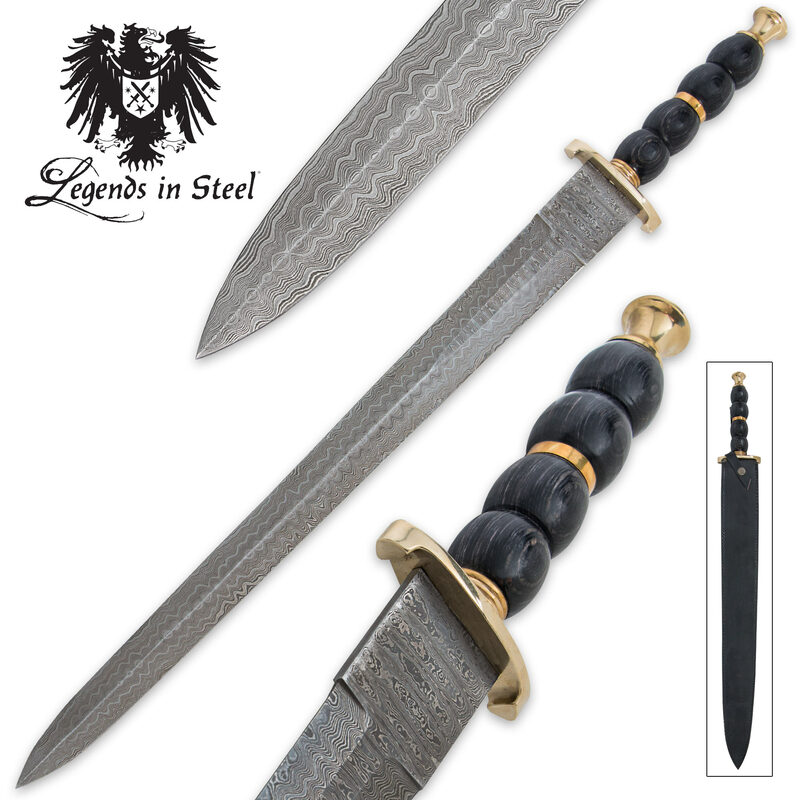 The Dirk-like blade geometry has a raised center crest with well defined double edges and point. 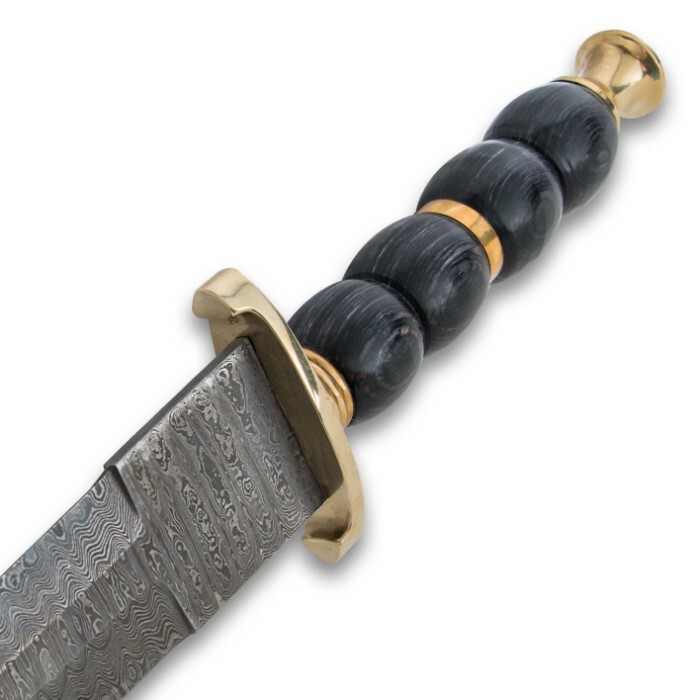 A solid brass guard supports the blade, complete with matching pommel and handle accents. Hardwood has been carved by hand and finished in deep blue to create the bubbled grip. Includes leather sheath with clasp. Measurements: 21 3/4 in. blade, 28 1/2 in. overall. I have bought from budk before and I have never been disappointed including this time. I got the sword in three days so fast shipping. 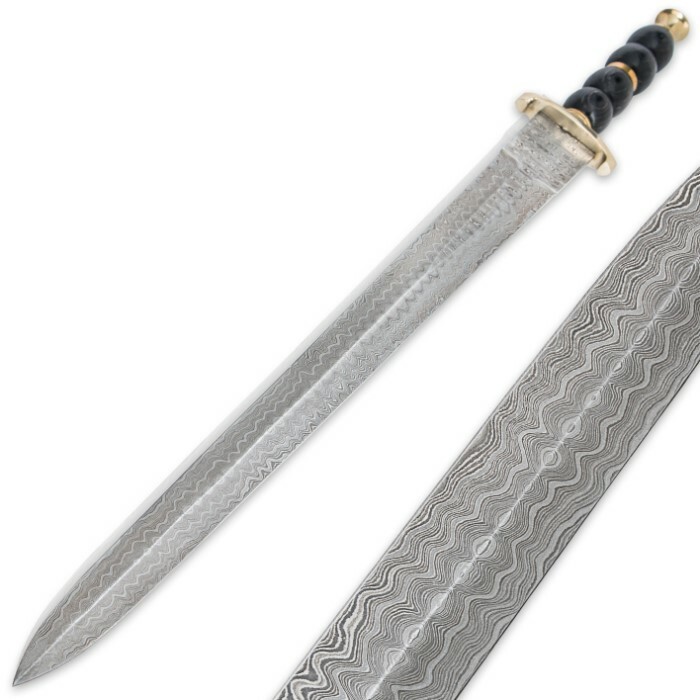 The sword is awesome it's sharp and has a beautiful swirl of damascus. 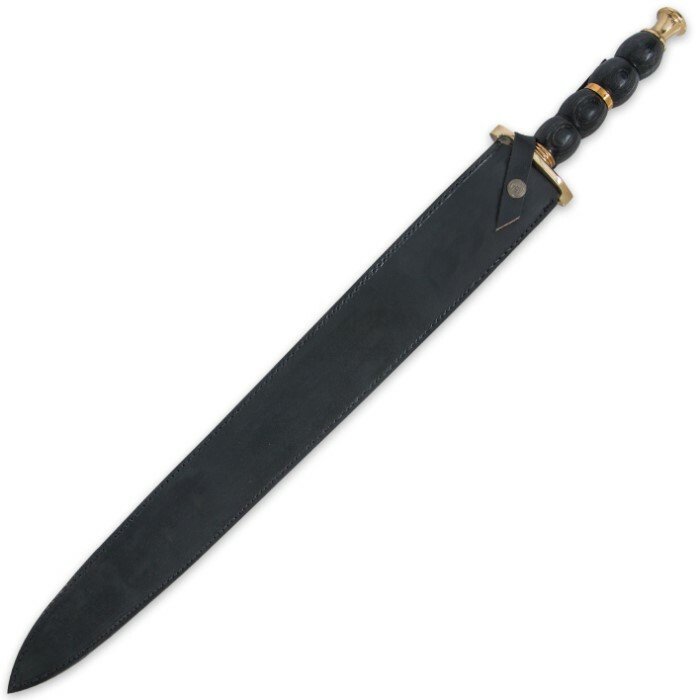 It's full tang and the sheath is actual leather. All in all this sword is worth the price.